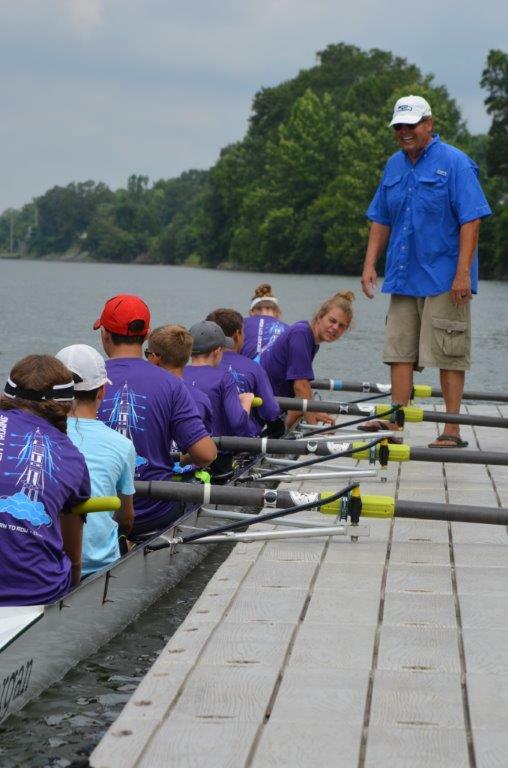 Rocket City Rowing offers 3 half-day summer camps to youth, ages 11-18, as an introduction to rowing. Participants will learn about the sport, and will begin to develop fundamental skills. Specifically, participants will learn crew terminology, how to use ergometers, and how to move boats on and off the water safely. Everyone will participate in rowing eight-person shells on the Tennessee River.